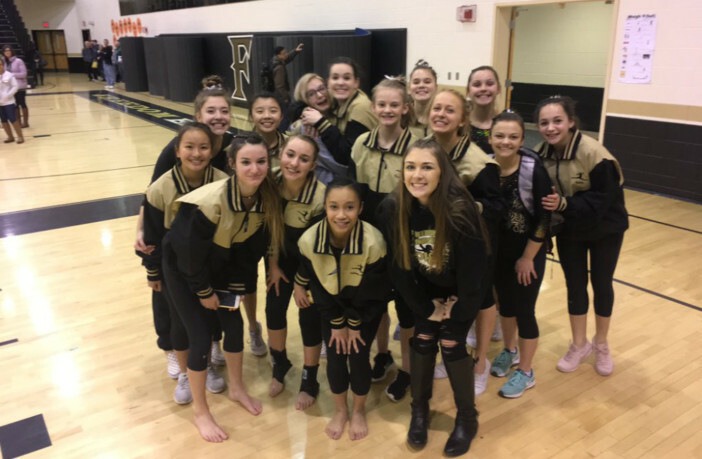 South Riding, Va. — Freedom High School freshman Kelly Fangyen won three of the four individual events en route to the all-around title at the VHSL Region 5C gymnastics championships on February 5 in South Riding. Fangyen scored a 9.425 on bars, a 9.600 on the beam and a 9.375 in the floor exercise to edge out teammate Liliana Gines in the all-around by just .550 points. Freedom sophomore Riley Waldrop and freshman Emily Hyun finished third and fourth, respectively, as the Eagles swept the podium and won the team title. It is Freedom’s sixth region gymnastics title since 2012.